Simple Recovery operates on the premise that the recovery process is rooted in the skills and expertise of a remarkable staff — professionals with first-hand recovery experience. 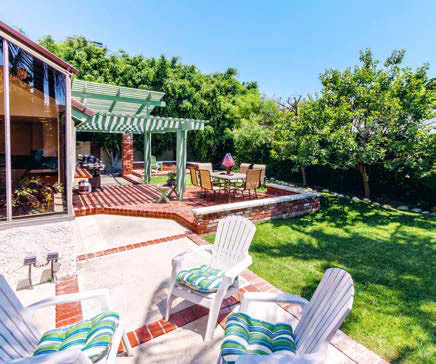 Simple Recovery is an intimate, client-centered treatment center in Huntington Beach, California. 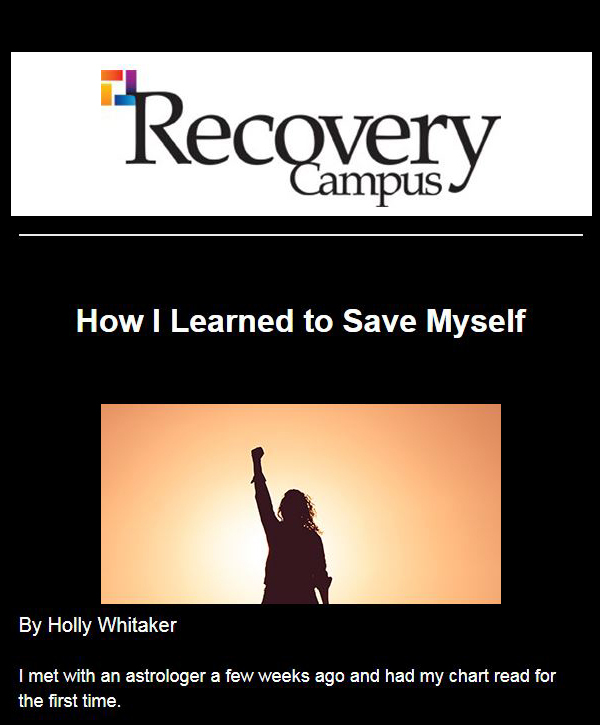 Recovery Campus asked Clinical Outreach Manager Chelsea Brigham a few questions about Simple Recovery’s process and philosophy. 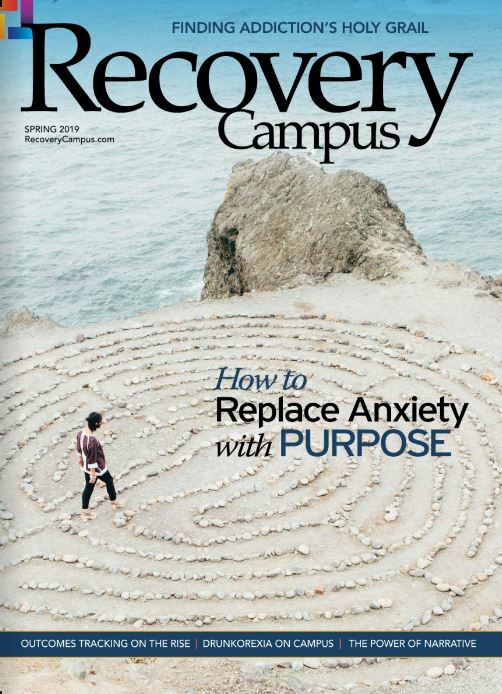 Recovery Campus: Tell us about your background in recovery. Chelsea Brigham: I have been working in the recovery field for little over four years. I began facilitating groups in various treatment centers. Then I took a position as a case manager, then program therapist, eventually becoming a program coordinator before arriving at the position I find myself in today, which is clinical director. My education and training began at California State University, Long Beach, where I graduated from the Marriage and Family Therapy Program, which was followed by various settings of clinical supervision in which I gained experience with diverse client populations. I have experience working with adolescents, couples, families and, of course, those suffering from the disease of addiction. What strikes me about working with addiction is the power it can hold over an entire family. It is such a privilege to be able to come along with someone and help them build an understanding of their addiction in a way that sets them on a new path toward healing and recovery. RC: Describe the philosophy behind Simple Recovery. What is the “Simple way”? CB: Simple Recovery was created on the philosophy that we must make the recovery process as simple as possible. At its foundation, recovery is built on an understanding that addiction is a chronic disease that can be fatal if left untreated. When we peel back the layers of chaos, trauma and shame, we find individuals in need of compassion, understanding and direction. At the detox and residential level, we remove the distractions of family, relationships and employment to build a foundation of simplicity while providing the medical supervision and oversight to ensure safety and mitigate painful withdrawal. A daily routine is implemented that allows for self-efficacy, accountability and structure as well as the opportunity to pause, reflect and develop a blueprint for the following stages of recovery. Through the outpatient level, we begin the strategic process of integrating newly developed skills, behaviors and ways of thinking into daily living. This is a crucial component of the treatment process as clients are typically being reintroduced into the stresses of life that fueled much of the addiction in the first place. Throughout treatment, we have discharge in mind and aim to assist clients in creating a plan for sustained support in their recovery long after they end treatment with us. RC: Talk about your clinical team and the disciplines they specialize in. 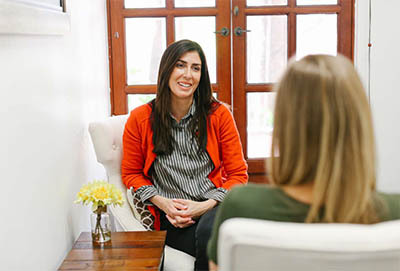 CB: Simple Recovery’s clinically diverse team is comprised of credentialed clinicians, including certified drug and alcohol counselors, an occupational therapist, and licensed marriage and family therapists who, by academic training and acquired expertise, have demonstrated knowledge and understanding of addiction and co-occurring disorders and have extensive clinical experience. Although some treatment centers may opt to contract outside providers to conduct such clinical services, Simple Recovery believes in providing each client with a treatment team who works side by side each day to deliver collaborative, wrap-around services to our clients. RC: What makes Simple Recovery unique? CB: We believe in collaborative, individualized care for our clients. If you were to sneak a peek behind the curtain of a typical day in the clinical office, you would find a dedicated team, routinely consulting on cases, providing one another with both emotional and clinical support, and diligently charting the progress of their clients. What we hear on a regular basis from our clients as that we “are not like anywhere I have been before.” What clients are speaking to when giving this report is our level of commitment and genuine concern for their well-being. Every company or treatment center develops a culture, be it intentional or not. The culture of Simple Recovery can best be identified as therapeutic. By this I mean every group, every individual session, every activity, every passing conversation in the hall, every staff meeting and every program change is approached with clinical judgment above all else. We aim to provide not just treatment but a therapeutic environment in which clients and staff alike can develop goals for themselves and find the support needed to achieve them. RC: Tell us a little about your clients. CB: We serve a diverse client population with varying backgrounds and ages; however, our average client is typically in their early to late 20s and is often coming to us from out of the area. This does not mean that someone outside of this age group would feel out of place or ill-served in our community. We have found that a treatment milieu comprised of individuals at different life stages helps to break down defense mechanisms that may be more engaged in a group solely made up of peers. Regarding client numbers, we tend to keep clinicians’ caseloads limited to no more than 10 clients at a time, and between our partial hospitalization, intensive outpatient (IOP) and evening IOP program, group sizes do not exceed 12 clients. Treatment episodes vary in length dependent upon multiple variables, including insurance authorization, transition plan and, most importantly, what is clinically appropriate. Although it may seem common sense to assume that more treatment is always better, this is not always the case. Treatment itself, if left unchecked, can become a holding place for clients who are unsure or anxious to transition to the next stage of their recovery. This is why we focus so much attention on developing a detailed treatment plan that will provide not only a clear pathway but also set up tangible markers to indicate when goals have been met and assess when treatment is no longer needed. With all that said, a typical treatment episode through the full continuum of care lasts 45 to 60 days, with rarer cases lasting 90 days. RC: What challenges do you face with new clients? CB: The challenge we have with new clients, which is really an understandable one, is building trust. Often, we are not the first treatment center a client has been to, and there can be expectations of treatment in place predicated on previous experiences. This can often lead to clients being guarded and reserved until they have had time to build comfort with our team and see the how invested in them we truly are. Once clients begin to understand that they really are a part of their treatment planning and implementation, notable progress will typically begin to unfold. 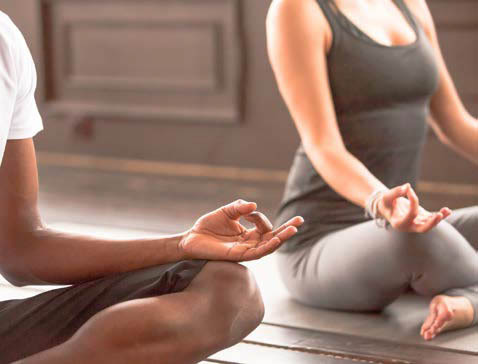 RC: You offer a variety of services — Rock to Recovery, hypnotherapy, drama therapy, 12-step yoga — and describe Simple Recovery as an “action-based treatment program.” What does that mean? 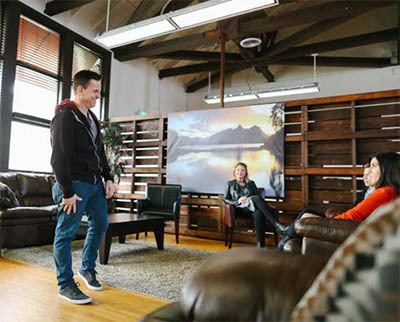 What can clients expect on a typical day? CB: Treatment should never just be a place of learning. I think there is sometimes misconception of treatment as being this place you go to learn how to be sober. Although this is true in simple terms, it does not capture the full aim of treatment — at least treatment at Simple Recovery. Action-based treatment means that, yes, there will be plenty of learning taking place, but there will be just as much application. The above-mentioned therapies provide an excellent space to practice new skills with the support and feedback of both peers and professionals. Think of learning to play tennis. One may take the approach of watching videos, talking to those who already play, maybe even pick up a couple of audio books on the game, but eventually, you will need to pick up a racket and hit the court. The same is true of recovery. Therapy groups, lectures, videos and testimonials will only get you so far. There needs to be a daily practice of applying skills, and that is why a typical day of programming will consist of focused psychoeducation groups, open process groups, skill-based groups and experiential activities. RC: Do you assist clients with furthering their education? CB: Yes, our program is specifically designed for community reintegration and building self-efficacy. As a part of our clinical services, we have an occupational therapist who assesses everyone’s activities of daily living (ADLs). In doing so, she helps set attainable yet challenging treatment goals that include furthering education. Through our Simple Life Program, we help clients attain a GED, apply for college, transfer credits and/or reintegrate back into an educational setting, such as specialty trade schools and certifications. RC: How do you facilitate peer support at Simple Recovery? CB: We are a social model treatment center that allows our clients the opportunity to be an individual within a peer community. In our residential setting, we create a family environment that requires open communication, teamwork and flexibility. 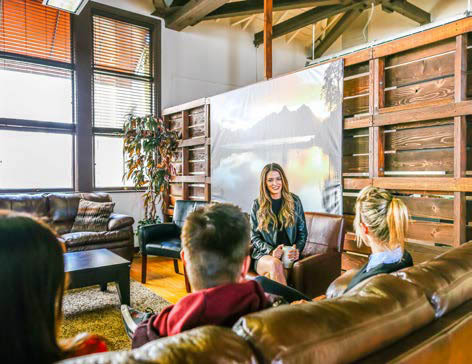 Within our daily schedule, we hold multiple group psychotherapy sessions that allow clients to share their experiences and challenges and create space for connection and community. We challenge our clients to lead by example for their peers. RC: How do you engage families? CB: We approach addiction as a family disease. Families that have lived with addiction have experienced damaging emotional and relational consequences. Parents, spouses, partners, siblings and children are all affected by the chaotic spiral of addiction and cope in their own ways. For this reason, family involvement is a primary component of the initial assessment with any new client. Families are typically engaged on Day One of treatment and are encouraged to be as involved as clinically appropriate for the duration. Depending on availability and factoring for practical barriers, family involvement usually looks like weekly or biweekly family updates and/or therapy sessions. Additionally, every two months Simple Recovery hosts a comprehensive Families in Recovery Program. 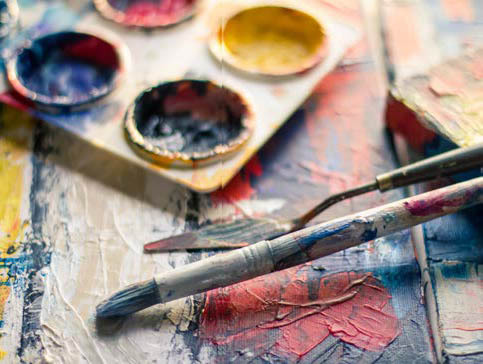 This intensive family program is a four-day workshop comprised of knowledgeable lecturers (including the founder of Simple Recovery and CEO of New Vista Behavioral Health, Dr. Stephen Odom), group exercises, art therapy and transition planning. Invitations to the family program extend to alumni clients and their families. RC: After completing treatment, how do you stay engaged with alumni? CB: Treatment is only the beginning of lifelong recovery. It is vital for us to engage our alumni as they reintegrate back into life upon discharge. 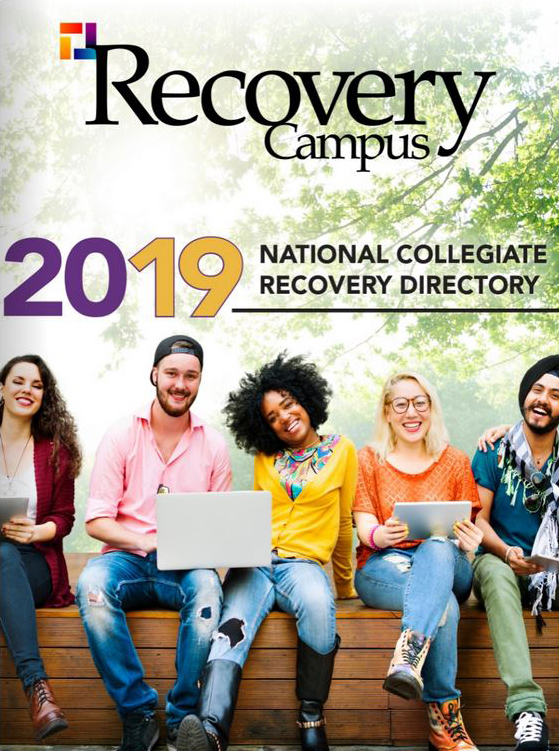 We have implemented a digital platform, WeConnect Recovery, that continuously supports our alumni in their recovery journey. This mobile app initiates accountability by building simple, daily and weekly routines to help clients stay on track. WeConnect also serves as a community interface for alumni to engage with one another and their support network, including their treatment team, loved ones and sponsor. By utilizing the app, our clients build self-efficacy as they track their progress and receive rewards for successfully completing routines. WeConnect also provides our clients with extra support. An SOS button is one click away, making it easier to get the extra support when they need it most. 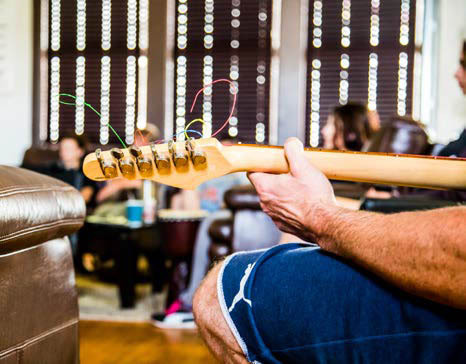 In addition, the Simple Recovery Alumni Connection consists of group on Wednesday nights held at our outpatient campus. Alumni are encouraged and invited to regularly scheduled fun-in-recovery activities, such as game nights, bowling and bonfires with the support of the alumni program. Families of clients are not left out, either, as they are given the opportunity to attend our biweekly family and community support group facilitated by Program Supervisor and Family Program Facilitator Chris Logan.